Finances can be sometimes tough to take it all alone. Seeking financial advice from your planner can benefit you no matter you are young or old, single or married, have high or low income. A good financial advice can not only aid people with saving money, but also protecting their loved ones financially and building wealth for the future. People tend to escape seeking financial advice due to multiple reasons. Some are embarrassed of their financial situation, whereas others don’t really have sufficient money to invest. Some people also have a misconception about financial planning considering it relevant only for retirement planning. Certainly, poor financial acts. Fact: You actually don’t need a big lump sum to invest. Regardless of how much your salary or savings is, you should consider seeking financial advice. It is not at all necessary to be a high net worth individual to reap the benefits of financial advice. Your financial planner can actually help you with everything from budgeting to managing debts, and from superannuation to planning retirement. Fact: It is never too early to seek advice. Usually, people don’t consider visiting a financial planner for seeking advice until they are nearing the retirement age . Trust me, it is never too early to start. In fact, people who have just begun their professional lives can largely benefit from a sound financial advice. The earlier a person starts building wealth, the better. It is always beneficial to develop good money habits at an early age, to prevent you from financial problems later in life. Fact: Seeking financial advice is actually one of the most important things one can do. Most people don’t have insurance (that may include life insurance, income protection plans, trauma insurance, and disability – total and permanent -TPD insurance), in the event of the loss of their income. Financial advice can even imply that you have a will to ensure that right funds end up in the right hands and at the right time. It is also important that you have a permanent power of attorney, to enable someone to guarantee guardianship if you are incapable. Myth IV: Financial Planners charge too much. Fact: You cannot actually afford not to have a financial advice. Considering all the benefits of financial advice, you will realize that is indeed worth it. Financial advisors are in fact a good value for money . Sometimes, advisors also offer initial consultation for free or at discounted price. This can surely be of help to people, who don’t want to involve in the complete financial planning process straight away. In addition to free, there can also be a scaled advice. Such kind of advice addresses financial issues one at a time for e.g. budgeting, insurance, etc. Myth V: Will I get an independent financial advice? Take your time to find and be sure of someone you can trust. You should try considering a licensed partner, who doesn’t receive open commissions on any of the investment products. Research upon a financial advisor who charges a modest fee for their advice and its implementation. Ask for recommendations from friends and family. Since finance is quite a personal matter, so you need to look for someone who understands both you and your situation. Some people are confident enough to make significant financial decisions on their own. Some others may need a helping hand, may be that of their financial advisor. Financial advisors do not assure you a magic mantra, but can surely assist you with any kind of financial situations. No matter you choose to go solo or with any financial planner, remember two important things – keep on educating yourself and refrain from any kind of financial myths , rather get to know the facts. 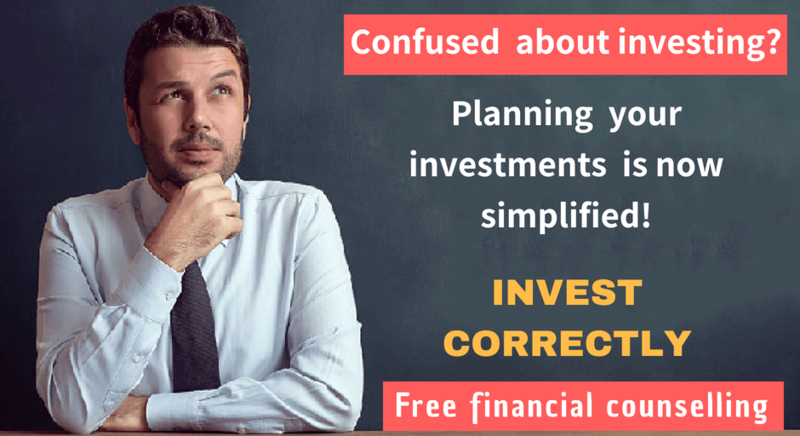 If you want to check our own distinctive complete and comprehensive financial planning process will be suitable to you or not, then you may register for 30 MINUTES COMPLEMENTARY CONSULTATION OFFER. Next Next post: How to recession-proof your Investments?